Ram Viswanathan: My Vote Goes to..
Tamil Nadu is under severe election fever besides the usual heat wave during this time of the year. This election is also seeing a unique electoral alliances by various parties. While Amma has decided to go it alone, Kalaignar has aligned with his old ally Congress. After much dilly dallying, Captain has gone with 5 other parties, who have divergent views on everything. PMK & BJP, finding no partners, have decided to go it 'almost' alone. I hear BJP has aligned with some 'letter pad' parties who are inconsequential. This election season, campaigning has come our living rooms. Every party worth its salt has a TV channel and have been beaming their biased views 24x7. We get to see political leaders zooming in their custom fitted luxury vans and their party workers toiling (and in some cases dying) in mid-summer heat. But, I must admit besides the media noise, no party has made any noise in my neighborhood. I am yet to witness the much talked about 'money' distribution. With balloting to start in less than 24 hours, who am I going to vote? Let me start with who I will not..
My vote will NOT be for AIADMK for a) promoting Sycophancy to the hilt b) making generations addicted to liquor c) institutionalizing corruption. My vote will NOT be for DMK for a) being synonymous with corruption b) promoting family politics c) poisoning Tamil minds with brahmin hatred for over half a century. 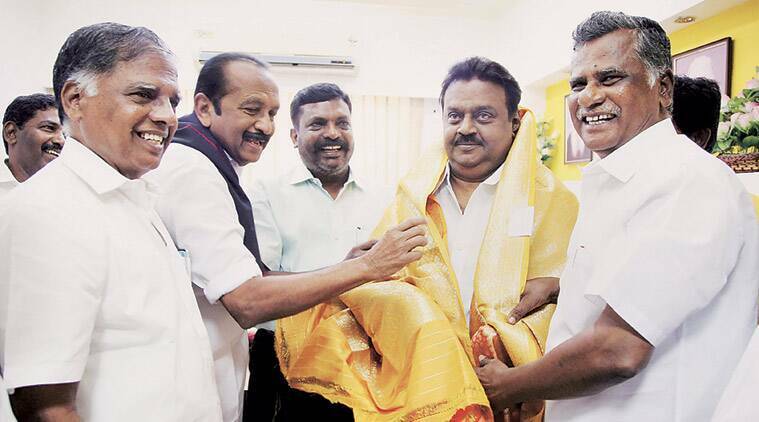 My vote will NOT be for DMDK alliance for a) hodgepodge alliance with diverse political ideologies b) lack of credible leadership (Vijayakanth is tolerated for his comic relief and not much else) c) not having clear 'common minimum' program. Now that I have eliminated three major combos, here comes the two parties I would consider voting..
My vote could be for BJP alliance for a) Steering India's economy back to 'decent' growth b) reinvigorating India's foreign policy c) implementing 'direct transfer' of many subsidies and cutting middlemen. My vote could be for PMK for a) consistent & early stance on prohibition b) clear growth manifesto sans freebies c) trying to prove its mettle by standing alone in all 234 constituencies. ps: It's a different story that I can't vote, though would very much like to. But, even if I could influence one prospective voter then this blog is worth it.